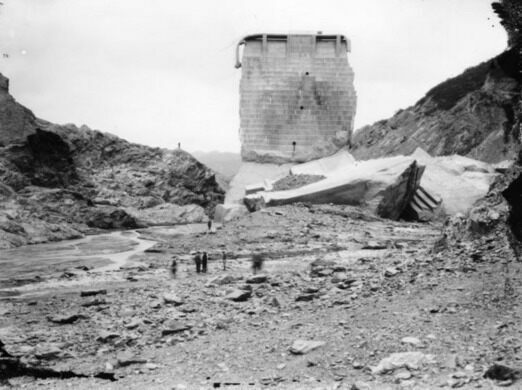 In the waning seconds of March 12, 1928 the newly constructed St. Francis Dam designed by LA legend William Mulholland in San Francisquito Canyon suffered a catastrophic break. For the next five and half hours, a wall of water more than ten feet high carved out a 54-mile path of wreckage to the sea that would claim approximately 400 lives. Join Obscura Society LA as we tour ground zero of this infamous disaster. 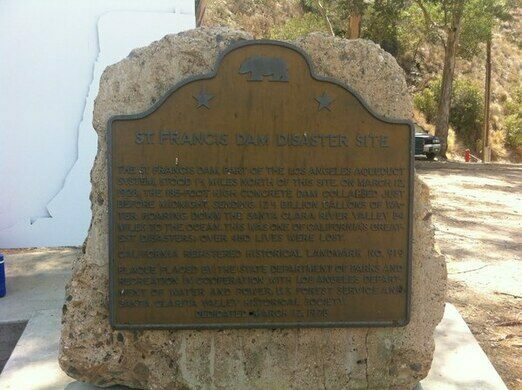 Our guide will be Ann Stansell, a SoCal-raised archaeologist whose master’s thesis “Memorialization and memory of Southern California’s St. Francis Dam Disaster of 1928,” focused on how the disaster and its victims have been remembered and commemorated within the flood zone. We will meet at Power Plant No. 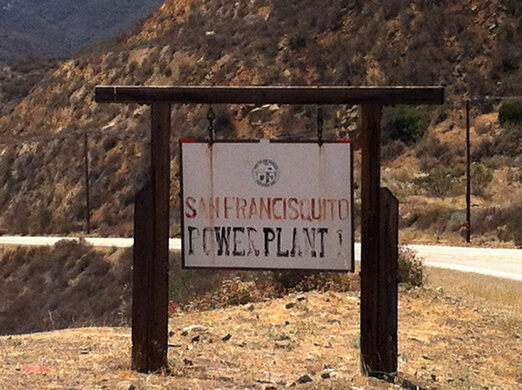 2, where we will learn about the history of the 1st LA aqueduct and related power plants. Next, we will view several memorials related to the disaster in the area. We will then drive up to the dam site and walk the ruins. From there we will head down to the normally off-limits Ruiz Cemetery, where many of the floods first victims are buried. - The ruins hike is moderately difficult. It is less than two miles, but has areas of intense elevation gain and requires some scrambling. -We will be meeting in the parking lot of the San Francisquito Fire Station, adjacent Power Plant No. 2. -Attendees should wear closed toe shoes and bring water. -There is limited cell service in the canyon, and no service at the dam site.